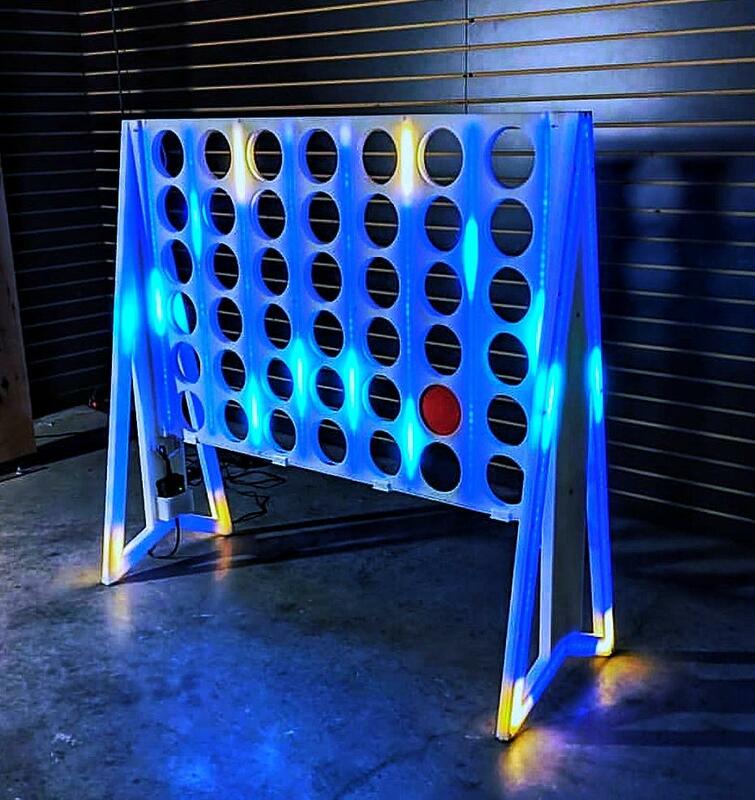 The Giant Glowing LED Connect 4 Game brings back the excitement you had as a child in a much larger way! And will be a sure hit bringing hours of fun at your next outdoor party, corporate outing or school carnival. 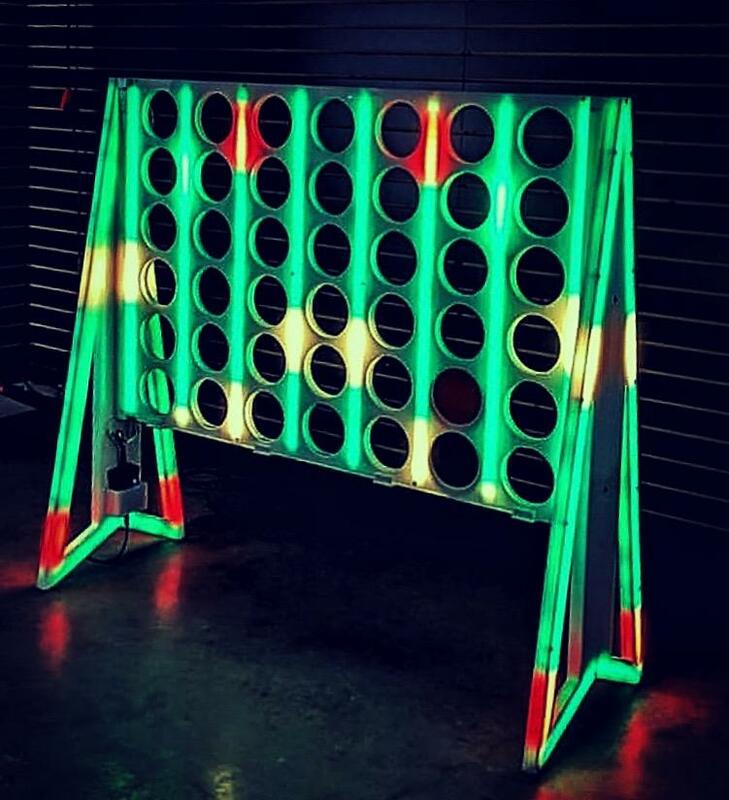 The LED glow adds a twist to the normal Giant Connect 4 Game. We can change the lights to different colors and patterns. 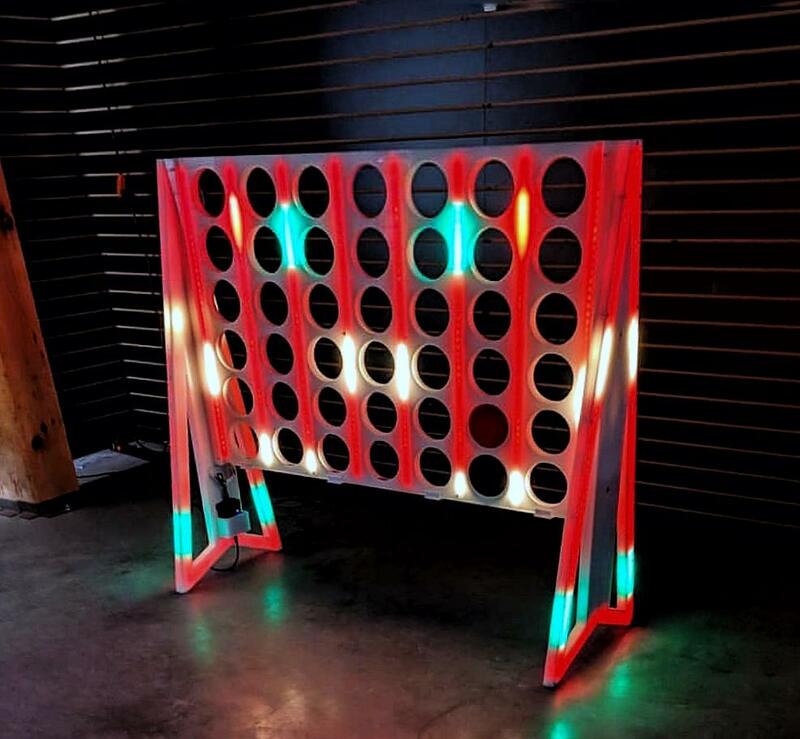 This amazing LED Connect 4 Game can also have its colorful lights dance to the music in the room. 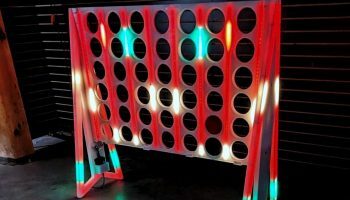 Our LED Connect 4 Game stands at 4 feet tall. This giant game comes with 42 five-inch discs. 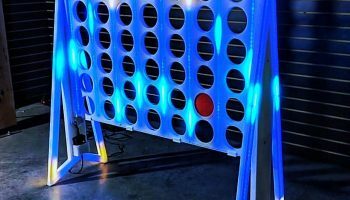 Just like the popular table-top version, the giant version is a 2-player game during which the players first choose a color and take turns dropping their colored discs form the top into a 7 column, 6 row vertically-suspended grid. The pieces fall straight down, occupying the next available space within the column. 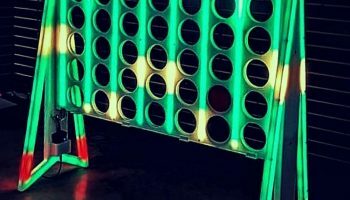 The object of the game is to connect 4 of one’s own discs of the same color next to each other vertically, horizontally, or diagonally before one’s opponent can do so. This is a classic game of strategy and can be played individually or as a team. The Connect 4 Game is also commonly known as Connect Four, Four Up, Four in a Line, Four in a Row. Rental Rate: Please contact our office for the most accurate quote on all our giant game rentals. 1 electrical outlet is needed.